Rubber growers in the world are facing big difficulty due to low price declined since 2012 up to now. 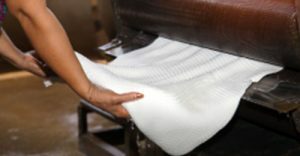 Consumers of natural rubber have got higher benefits at the beginning period of low price for raw material, but currently, they also face the tense competition of others to produce rubber products with lower cost. 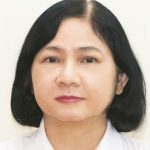 In addition, sustainable development trends of the society require both growers and manufacturers must implement the road map to stop the expansion of rubber plantations on forest land, reduce greenhouse gas emissions and enhance the biodiversity of rubber plantations associated with risks mitigation from climate change and uncertain market. Current difficulties of rubber market raise many challenges to all stakeholders in natural rubber value chain. The recovery of price needs the supply-demand balance, but there are big challenges of transparency and it is not easy to get full assessment on natural rubber data, particularly for rubber areas planted recently under the high-price period from 2005 – 2012. 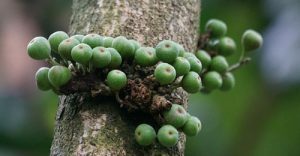 In the other hand, sustainable natural rubber faces challenges of traceability in the production of million smallholders who are not attractive to implement the criteria of sustainability under low natural rubber price. To overcome challenges and difficulties of current situation, some natural rubbers producing countries try to adapt for new trends of market. New potential opportunities for natural rubber industry are opened to increase the consumption of raw material from the industry. The rubberized road projects in Thailand, Malaysia and Indonesia are implemented recently and push new application of natural rubber in infrastructure with higher safety. Rubberwood becomes important raw material for timber industry and significant tool to mitigate the pressure of using forest timber in human life. 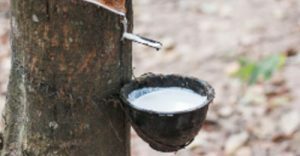 Strengthening the natural rubber industry towards sustainability associated with insuring the livelihood of farmers is one of the key factors to be implemented. However, the measures to equip smallholders for catering the new requirement from market are not available. Platforms such as the Sustainable Agriculture Summit are very necessary to exchange ideas and experience for developing road maps, guidelines of suitable models and good practices. Promoting the objectives of sustainable agriculture in general and sustainable natural rubber in particularly needs strongly the governmental incentives to support and monitor the implementation of enterprises and farmers. Viet Nam Government has issued several regulations as legal guidelines to attract more investment and business on sustainable products in agriculture. Difficulties due to low price and weak demand of tyre market have prompted the rubber industry to find out solutions to cope problems and generate new opportunities. Intercropping models are blooming recently to diversify incomes of farmers and create great source of cash crops for export, improve the biodiversity of rubber plantations and help rubber growers to mitigate risks due to climate change. New applications of natural rubber in road construction may reduce the dependence on tyre industry and automobile industry. Rubberwood becomes environmentally friendly raw material, not only as additional income but also as a tool contributing to the sustainable development of natural rubber industry.